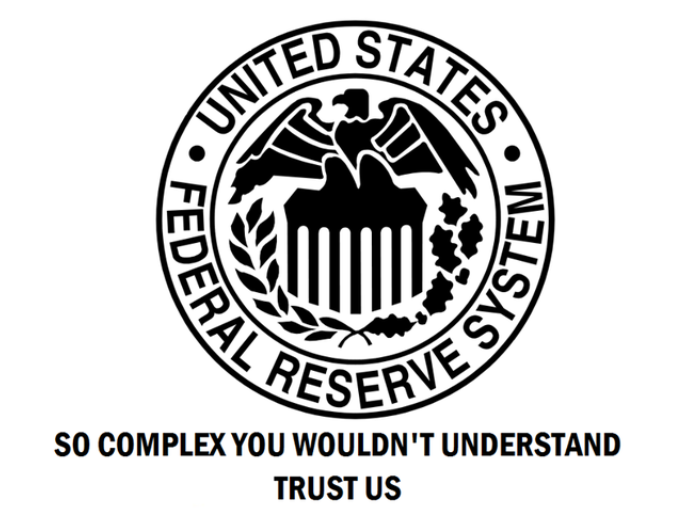 The Fed is supposed to operate as the oil for the American economy, keeping the flow of money smooth and consistent, ensuring growth that does not spike inflation but does not stall out, either. In reality, after bailing them out and forcing the American taxpayer to absorb the fallout of their reckless risk taking, it has spent the last 10 years supplying an ocean of ZIRP liquidity to Wall St. banks so they could repeat the same behavior. The other function they are tasked with is setting interest rates (the cost of borrowing money) so that there's adequate economic balance between full employment and a select inflation rate. The idea is that if the cost of money is cheap enough, private banks will lend to the general population and businesses. The ultimate goal is that the money can be used to expand enterprise, hire people and develop a strong economic posture. Central banks rigged the cost of money and the state of the markets, and ultimately created more inequality and instability as a result. In an environment where the cost of money is too cheap, it could cause inflation. When inflation rises, central banks are expected to lower the cost of money in order to keep it under wraps. While those basic functions should be relatively simple, what has unfolded is anything but. The reality is, central banks have provided money as cheaply as possible to banks in order to keep the private banking system operating.